To draw and maintain professional looking organizational charts in fast moving environments, you need specific tools to do the job properly. We’ve taken a look at the best org chart makers for Mac in 2019 to make it as fast and easy as possible. Org charts are essential to organize teams effectively, manage the growth of your company and keep everyone informed of movement and changes. Nowadays, powerful but easy to use tools like SmartDraw make it incredibly simple to make accountability charts even for the most complex hierarchies and corporate structures. Many PC users use Microsoft Visio as a hierarchy creator but since Visio is only available on Windows – not to mention expensive and complex – Mac users can use one of these excellent alternatives to Visio on Mac instead. However, the tools reviewed in this article have specific features for creating organizational maps which look professional enough for use in presentations, corporate intranets and proposals. Most of the apps here can also be used to quickly draw flowcharts and process flows on Macs which make them very versatile in business environments. The organogram software for Mac featured here have been selected for their ease of use, range of templates, customization features and ability to produce professional results. Here then is our list of the best software to create organizational charts on Mac in order of ranking. If you’re looking for something that creates incredibly professional and slick organizational charts with very little effort, look no further than SmartDraw. 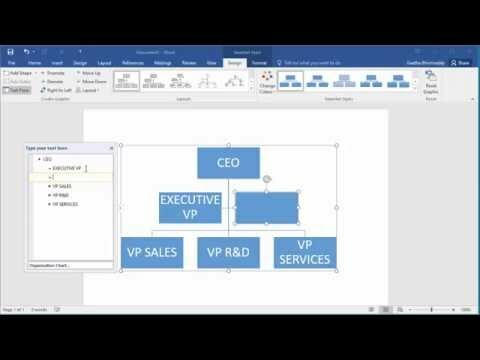 SmartDraw is already popular as a replacement for Visio on Mac and corporate organizational structures are one of the many types of diagrams it does really well. These are some of the reasons that make SmartDraw such a pleasure to use when it comes to mapping complex organizational structures. SmartDraw has thousands of templates (including for everything from flowcharts to floor plans) and for just about any organization or company structure. This includes highly specific templates including two-level, four-level, photo-org charts, marketing team, travel agency, US government, inverted org charts and horizontal org charts. Many templates are already completed with basic hierarchy information – all you need to do is personalize and edit it. This makes the often tedious task of drawing org charts extremely quick and easy. SmartDraw automates diagramming by automatically re-balancing org charts when you make changes. Shifting around personnel or departments is easy because SmartDraw automatically re-formats hierarchy structures and configures boxes, objects and links to ensure your chart always looks neat and organized. If the formatting of your boxes is a bit out for example, just click “Make Same Size” in the tools menu along the left hand side and all of your boxes will be automatically resized to the same dimensions. The same goes for changing the shapes of boxes, adding pictures and changing branch styles. Most formatting changes can be applied with just one click. You can share org charts with anyone simply by sending them a link. The recipient doesn’t even have to be a SmartDraw user. You can also save them to formats such as PDF or export them to apps like Microsoft Office and G-Suite. SmartDraw saves your charts in real time but you can also choose other online storage solutions such as Microsoft OneDrive, DropBox and Google Drive to share with others. You can get started now with SmartDraw for free to try it for yourself. Or for a closer look, check out our full review of SmartDraw. If Cloud solutions are not for you, then OmniGraffle is an excellent desktop diagramming software designed specifically for Mac. Although it’s not cheap at $99 for the Standard version or $199 for the Pro version, it is a one off cost so there’s no subscription to pay. OmniGraffle has literally thousands of objects to choose from and thanks to the huge number of OmniGraffle templates that are available, you can download ready made org chart templates for Mac for free. OmniGraffle is a bit overkill if you just need to produce the odd org chart now and then but if you want a highly professional org chart solution designed specifically for macOS, you won’t find anything better. If you deal with Visio files regularly, it’s also a useful Visio viewer for Mac because the standard version allow you to open and view Visio files on macOS even if you decide not to pay for the full version. You can download and try OmniGraffle for free and there’s also a decent version of OmniGraffle for iPad but it costs an extra $49.99 and the Pro version $99.99. You can also read our review of OmniGraffle for a more detailed look at what we think of it. What we like about Pingboard is that it’s 100% focused on making org charts and nothing else. Pingboard not only makes organization structures look great, but updates them dynamically as your company changes. This is because Pingboard is integrated with enterprise HR systems like Microsoft Azure, ADP, G Suite, OneLogin and Okta. Pingboard also has an iOS app for iPad and iPhone that allow you to easily find members of a company on your phone. Pingboard is aimed at companies with hundreds to thousands of employees and provides multiple ways of sharing personnel structures with them. These include a simple link, restricted link, PowerPoint presentation or embedded in your company intranet. You can build an org chart in Pingboard for free although the free version doesn’t allow you to share it with anyone or entitle you to iOS access. For $29 per month you can add iOS access and support for 3 other users and if you want to integrate it with your internal recruitment system, you’ll need the Pro plan for $100 per month. There are also discounts for non-profits and paying annually. You can watch an brief overview of what Pingboard can do below. Lucidchart provides an easy way to draw org charts on Mac and is a flexible diagramming tool for all needs and abilities. Lucidchart is web based so there’s nothing to download or install. It has a very simple drag and drop interface which makes it easy to insert elements where you want them to be. You can add photos to hierarchies and there are lots of customization options when it comes to colors and shapes. One of the most useful features of Lucidchart when it comes to organization charts is that it can import data from Excel and CSV files. Alternatively, you can simply paste data into the import tool and Lucidchart will cleverly attempt to create a basic org chart from it. You will have to make manual edits and corrections afterwards but it’s much quicker and easier than having to add names and positions of organization personnel yourself. If you just need to create an org chart for a small company or organization, you can do it for free in Lucidchart. However, the free version is limited to 60 objects and 5 documents so you’ll need to subscribe if you need to create anything bigger. You can try Lucidchart for free to judge for yourself first. Or for more information, you can read our full review of Lucidchart. 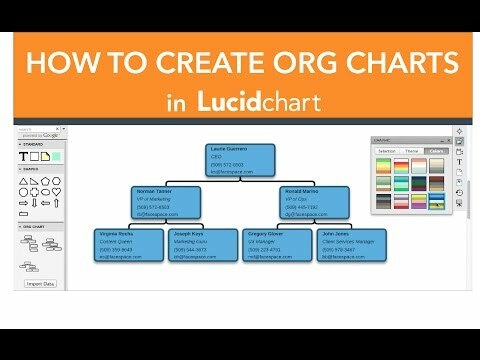 You can also watch how to create an org chart with Lucidchart below. Organimi has come a long way in a short time and become an extremely popular cloud based organizational chart software. A big reason for this is that it makes creating organizational charts incredibly easy. Organimi takes a very methodical approach to org charting by getting you to fill in the details first (or importing them from a CSV file) and then it does the rest. Once Organimi knows a persons position in the hierarchy, it automatically puts together your org chart complete with photos and positions. You can then share them instantly with colleagues via email, export them to PDF or print them out to put on the wall. If you just want to create one org chart, Organimi is even free to use although plans start at $80 for single users per 30 days and $249 per year for teams. OrgChart (formerly known as OrgChart5 and OrgChart Pro) is another web based solution that works directly in the browser on your Mac. There is no other software to install. Google Chrome is recommended as the fastest browser to use it with but it will work in others too. OrgChart Pro can import from Microsoft Excel, SQL Server, SAP and many more different sources. You can also publish org charts instantly to PowerPoint or PDF format. The look and feel of OrgChart Pro is a bit Windows inspired but overall, it’s a powerful and easy to use org chart solutions for your Mac. The cloud version OrgChart Now isn’t exactly cheap starting at $29.99 per month for up to 100 team members but it’s easy to use, creates glossy results and you can try it for free. Creately is an org chart maker that works both via web and a desktop app for Mac. The desktop app works offline and syncs with your Creately account when you go online. Note however that if you need the Mac desktop app, you have to pay $75 although this also gives you a one year subscription to use Creately online. Creately is suitable for all types of charts including flowcharts, business process models, UML and SWOT diagrams but it makes it very fast and easy to create org charts. There are lots of templates to get you started both provided by Creately and other users of the app. You can add images to Creately to spice-up your org charts and it’s easy to highlight nodes or people in your charts and drag and drop elements around. Everything stays neat and tidy in Creately because objects snap into place which saves considerable time manually aligning and cleaning-up organizational charts. You can export in SVG and PDF format for printing (which also preserves the links in your charts) or you can simply export your org charts as in image in JPEG or PNG format. Since Creately is cloud based, you can work together on org charts and make changes in real time although if you make changes in the desktop app, they won’t apply until you go online again. You can use a very basic version of Creately free for up to 5 org charts but to get full functionality you’ll have to purchase a subscription starting at $5.75 per month. You can also read our full review of Creately for more. Sensus BPM is a highly specialized business process management software designed for the needs of large corporations or organizations. Sensus BPM is designed for fine tuning and improving business processes, improve management flows and make changes to organizational structures more transparent. Sensus BPM works on both Mac and PC and the Mac version has it’s own free Sensus BPM Lite desktop app on the Mac App Store. However, the app is very basic and designed for creating simple org charts that you can then import into the main software and develop or add dynamic elements to. There are three versions of Sensus BPM. Sensus BPM Personal is designed to model, share and improve business processes. Sensus BPM Community is designed to be installed on a corporate server so that it can be updated and managed in real time to reflect changes in a fast moving company. Sensus BOM Ultimate is designed for very large complex corporate environment with multiple management and micro-management levels. In all versions, you can export to PDF, Word, HTML. If you want a dedicated org chart maker for Mac with a specific focus on business process management, Sensus BPM is a very powerful tool. 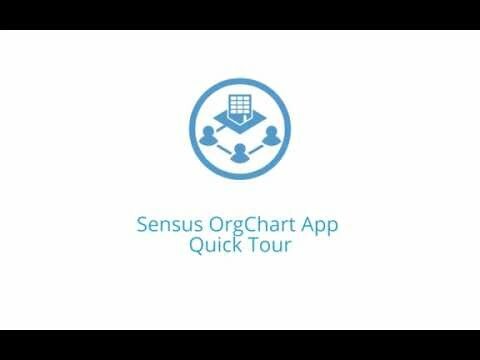 Note that Sensus BPM is only available on an annual subscription plan starting at $120 per year for the basic version but you can try a free trial first. ConceptDraw Diagram (formerly ConceptDraw Pro) is another highly professional tool that works on both Mac and PC and is aimed at users with professional org chart and other diagramming needs. Org charts are actually a specialty of ConceptDraw Diagram and there are plenty of examples of how it has been used to create professional org charts for different needs and businesses. It has a specific library set of tools for organizational charts which are free for all users. ConceptDraw Diagram also has some of the most detailed instructions on how to create org charts on Mac of any software out there so if you’re looking for something highly professional, with specific functional for org charts but extends to other professional uses, it might be your answer. You can see how to draw organograms in ConceptDraw Diagram for Mac below. You can also check out our review of ConceptDraw Diagram for more. MyDraw (formerly Nevron Draw) used to be part of the Nevron Office suite which is aimed at those looking for a cheaper alternative to Microsoft Office for Mac and PC. MyDraw is available as a standalone desktop app and makes it very easy to create org charts on Mac. You can switch between the old MS Office style of menus and command bars or the newer Ribbon style interface. There are lots of free templates in MyDraw and plenty of useful tutorials to show you how to get started. Creating org charts is very straightforward enabling you to drag and drop people and positions onto the main interface and it conveniently snaps them into place. Apart from organizational diagrams, there are also templates for flowcharts, mind maps, network diagrams, floor plans, workflows, UML diagrams, electrical diagrams and more. You can try MyDraw for free but to upgrade to the full version costs $69. You can check out our full review of MyDraw for more. Which Is The Best Mac Tool For Org Charts? These are the best tools we’ve found for creating organizational charts on Mac. SmartDraw is easily the best on the market for Mac users with an outstanding range of templates, automated features, professional results and slick user interface. OmniGraffle is the best option if you don’t want a web app and are looking for a desktop org chart app for macOS. Pingboard meanwhile provides an powerful yet slick solution if you need integration with your internal recruitment or HR management system. Lucidchart is an excellent option for those that need close integration with Microsoft Office as it includes plugins that allow you to harness the power of it’s org chart creation tools in Office. Can You Create Org Maps For Free On A Mac? Although you can draw simple org charts on a Mac in apps like Apple Pages, the results are very basic and certainly not suitable for the complexities of corporate hierarchies. 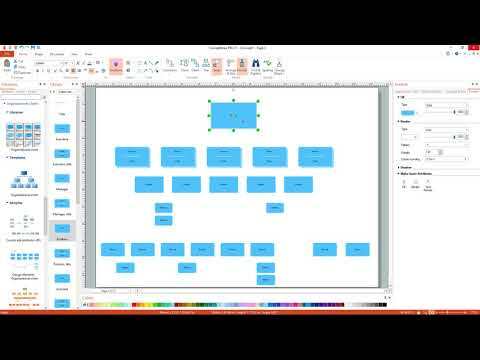 You cans also draw organizational charts for free in Microsoft Office 2016 for Mac using the SmartArt tool. This is quite a basic and limited tool but it’s entirely free for Office 2016 users. Click on SmartArt > Hierarchy. Click on the organizational layout you want. Simply enter the text you want in each box and drag around the boxes in the structure you want. There’s not much more to it than this although you can also add pictures to your org charts. If you’re already Microsoft Office users and want something really simple, SmartArt is a quick and easy solution to creating organizational charts on Mac. You can find more about how to create org charts in Office 2016 for Mac here. As we’ve seen there’s no need to manually map your organizational structures. There’s some excellent org chart apps available on macOS nowadays but there are some important things to consider before deciding which one to go for. It might sound obvious but some of the most popular apps for drawing organizational charts are unavailable on Mac although this isn’t always obvious from developer websites or promotional material. It almost goes without saying, but if you choose something not listed here, make sure the org chart tool you go for definitely runs on Mac! Some apps, like SmartDraw, Lucidchart and Organimi, are web based and therefore cross-platform compatible. This allows you to work with co-workers or others no matter what OS they’re running whether it’s Mac, PC, or Linux. Others, such as Omnigraffle or ConceptDraw Pro, are designed specifically for Mac desktops and only work on macOS. Whether you choose a web based solution or a native Mac solution will largely depend on preference. Some people simply don’t like being locked into a subscription model of “renting” software as is the case with cloud based software. Others prefer it because it avoids any potential compatibility issues and doesn’t require any software maintenance or upgrades. However, many people still prefer to purchase their software with a one-off fee and install it directly on your Mac and therefore “own” it forever. The disadvantage of this of course is that its usually harder to work on joint org charts with others on different platforms (although most software allows you to export the final product to be viewable on any device). Also, you will have to upgrade the software from time to time as you upgrade your Mac’s operating system or better versions of the software are released. Whichever you choose, just make sure you are aware of the implications of both. If you have pages and pages of company information or data in an Excel spreadsheet, it’s very tedious to have to manually re-enter this information into an org chart. If you’re in this situation, a key feature you may want to look for is the ability to automatically generate org charts from existing data. This will save you a ton of time and effort. For example, Lucidchart allows you to simply upload a CSV file and your org chart is automatically generated for you or you can simply paste data into it and Lucidchart will attempt to create an org chart from it. After that, you may need to make a few manual tweaks but you can then add a new employee or edit information as needed. OrgChart Pro for example, also imports from other sources such as SAP and SQL server. As your organization starts to grow, your org charts can start to get a little messy and so bear in mind that managing expansions can become complicated. SmartDraw is excellent in this respect because it automatically re-balances org charts when you add or remove components making sure they always look neat and tidy. Likewise, Lucidchart also has an automatic cleanup feature. Just select “Clean up layout” from the context pane, and all the boxes and lines will snap back to a neat, organized layout. Some apps like Pingboard go even further and integrate with personnel management systems like ADP and Okta. These dynamically update as your company grows or shrinks which is especially important if your organization has hundreds of members. 3. Does It Produce Professional Results? If you’re creating an org chart for a business or company, the chart will become part of your businesses image, so professionalism is crucial. A good org chart tool will create a polished version of your company data, without much effort on your part. You’ll want a tool that supports simple sharing within the organization and the ability to add branding elements like images and custom fonts. Finally, don’t forget to evaluate the software company itself. If you choose a not-so-stellar org chart tool, you could get stuck with no support or a stagnant product that never gets updated. If you’ve got any other suggestions, or comments about the organizational chart software featured here, let us know in the comments below. What a timesaving compilation! Thank you! My organization won’t let us use any web based sf, so I will test desktop apps on my Macbook. Thanks and hope it helps you! Hi. OfficeWork Software makes an online product called OrgChart Now that works great on the Mac and is designed for HR Professionals. Much more in-depth solution than the tools listed above. Connects directly to over 15 HR systems. We also have a web based tool which you can use to create org charts in Mac. And if your organization doesn’t allow to you to use web based tool ( as in the previous comment ) then we have a desktop version that works on Mac. You can read about our org chart specific features by visiting the org chart page. Thanks for the tip Nish. We’ve taken a look at org chart creation on Creately and included it in the article. Thanks for compiling tools with free trial, it let me save some time before holidays and pick a right program. Glad it helped you! Hope you found the right org chart software for your Mac. You may want to review and include Nevron Draw for Mac. MyDraw version 1.0 introduces tons of fixes and improvements. The application now also support Visio drawing (VSDX) import and export.